Advanced Web Development Suite is a comprehensive training program that equips candidates with the all the necessary tools and techniques of web development with extensive practice in coding of functional web applications. With the continuous advancement in the Internet the need to develop search-engine friendly pages is on the rise. Employers are now seeking trained web developers who are capable of making the website accessible user friendly for a huge audience. Advanced Web Development Suite is comprehensive and can be taken up by both beginners as well as advanced learners. It is best suited for system engineers, mobile app developers, web application developers, software engineers and candidates with technical background. PHP Object Oriented Programming, PHP Model View Controller Pattern (PHP MVC), an overview of PHP Data Objects, PHP Object Oriented Programming - building a Login System, Setting up PayPal Instant Payment Notification with PHP and advanced PHP development are also covered in this training. Learn Python Django from Scratch training covered in this suite provides a detailed understanding of this robust programming language. Build Your Own HTML5 Video Player covered in this training empowers the participants to develop their own HTML5 video interface from the scratch. This includes video embedment using HTML5 and creating custom controls. 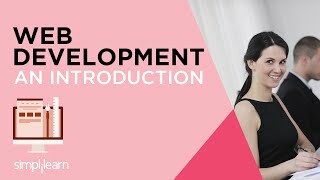 CSS Floating Layouts, Introduction to SASS as well as Understanding HTML5 Input Types are also covered in this training program.